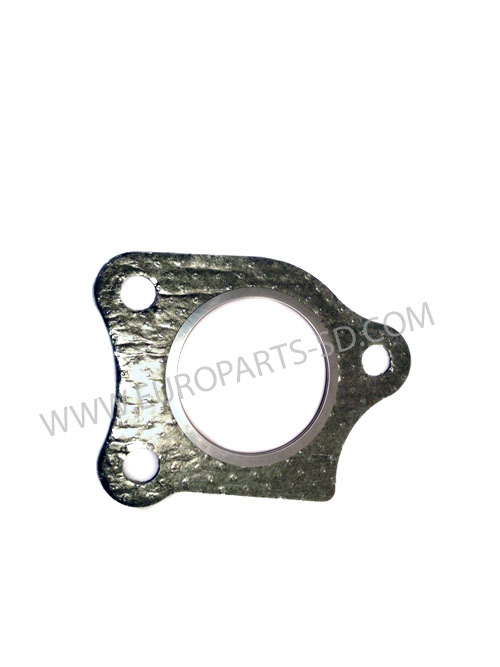 Ball socket insert for linkage to intake manifold inlet (swirl) actuator. 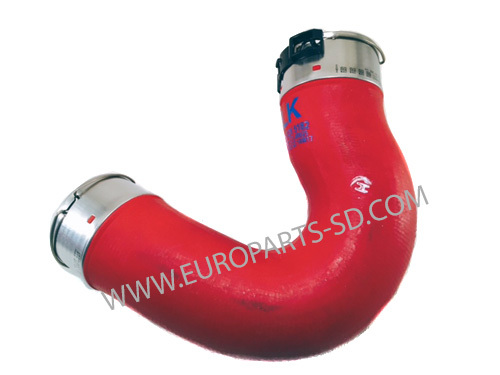 This seal ring is fitted to one end, on the INSIDE of hose connection and is ONLY found on the engine end of this hose IOW, the farthest end from the turbocharger. 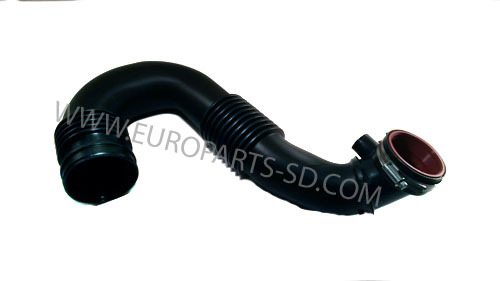 Located on the charge air hose and can be on both the input and output sides of the intercooler. This green seal ring is fitted to the OUTSIDE of the hose end. 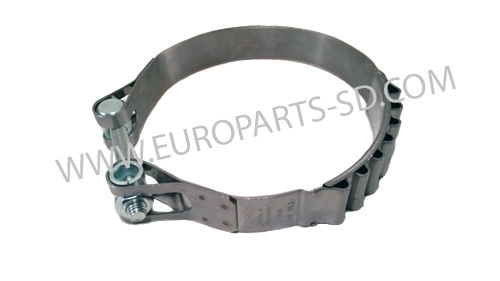 Also can be used on the ADAP09 hose end adapter. 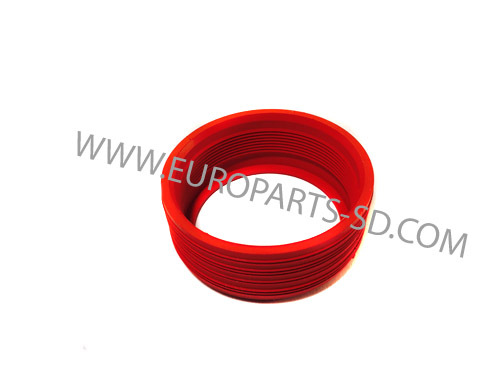 Red color hose, located on right side of vehicle, before the intercooler. There are two versions of this hose, depending the type of air conditioning your vehicle is equipped with. This is the longer version of the two. THIS HOSE IS ONLY FOR THOSE MODELS WITH STANDARD AIR CONDITIONING, SINGLE COMPRESSOR. THE OTHER VERSION FOR DUAL COMPRESSOR (ROOF MOUNTED A/C), IS SHOWN BELOW. There are two versions of this hose, depending upon the type of air conditioning your vehicle is equipped with. THIS HOSE IS ONLY FOR THOSE MODELS WITH SECONDARY AIR CONDITIONING (ROOF MOUNTED CABIN A/C). IF YOU HAVE TWO SEPARATE A/C COMPRESSORS, THIS IS THE CORRECT HOSE. THE OTHER VERSION IS SHOWN BELOW. This hose is the shorter of the two charge air hoses and runs from the intercooler to the engine. 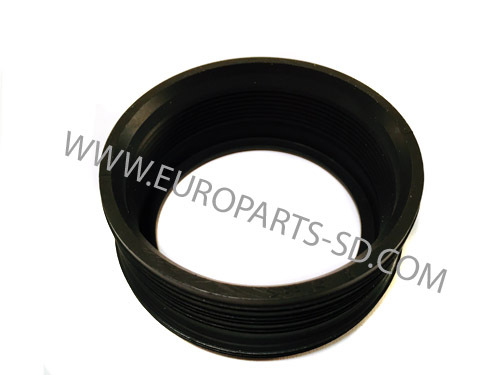 Seal ring is provided with hose. 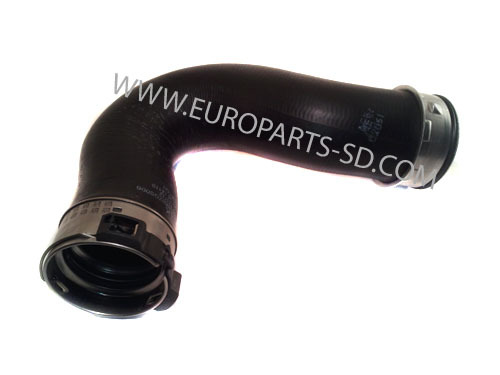 See the other related hose for the opposite side of the intercooler, shown below. This is the shorter of the two charge-air hoses. Seal rings ares provided with hose. This hose is the longer one of the two charge air hoses. 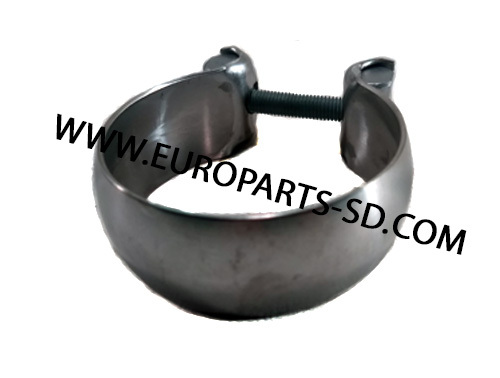 Seal ring and hose clamp are provided with hose. Located on driver's side of engine. This hose is located on Driver's side. of the hose wall. 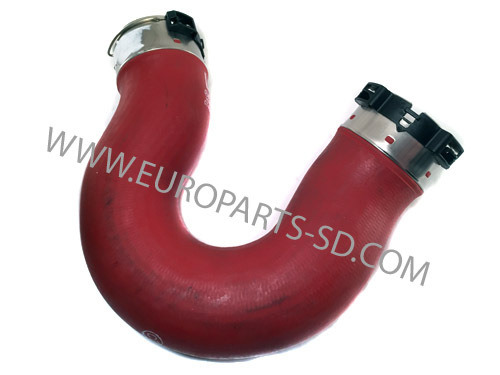 This will occur both with the hose that we sell, and also the original silicone hose from Mercedes Benz, which is manufactured by Hutchison, in France. It is the nature of the beast and is perfectly normal. 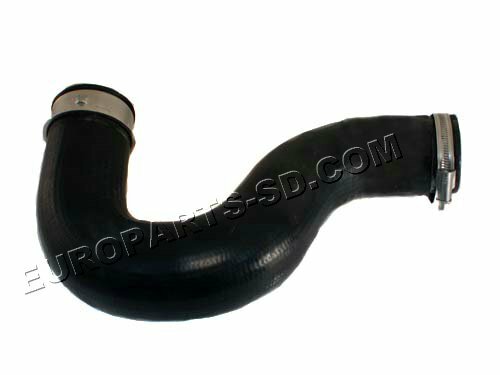 Nearly all other charge air hoses used by Mercedes on all Sprinters, are made from EPDM, which is normally a black rubber compound. This is the only hose that we are aware of that is made from silicone. Both seal rings ares provided with this hose. 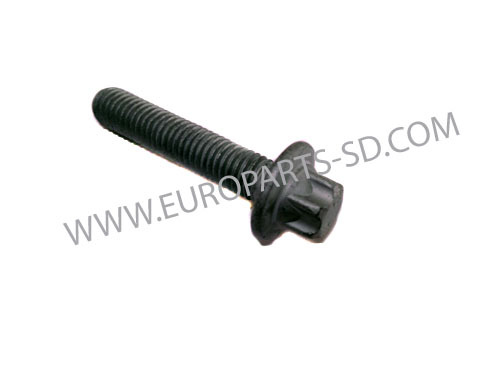 This hose uses special retainers on both ends and is only used on BlueTec engines, 2010 and later. 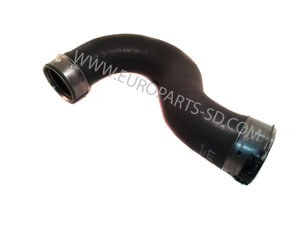 Charge air intake line, upper end of this pipe joins the output side of the turbo resonator. Often cracks from engine vibration. 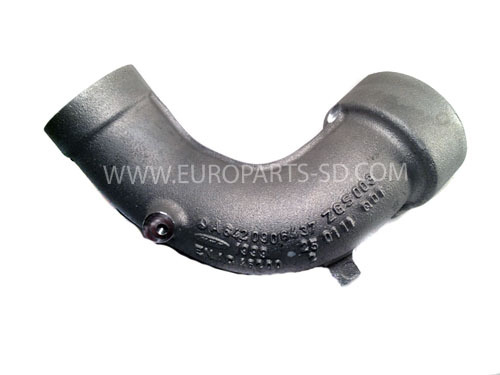 Cast iron Y-shaped collector pipe from turbo to exhaust manifolds. Photo of this item is not accurate. It is a photo of an earlier unit, rather than the unit for 2010-2017. The part will be correct. 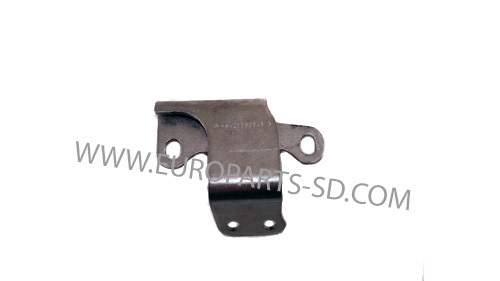 It is a photo of an earlier intercooler unit, rather than for the 2007-2009 models. This is the most current revision of this item, which supersedes four earlier part numbers, all of which have been discontinued by Mercedes. 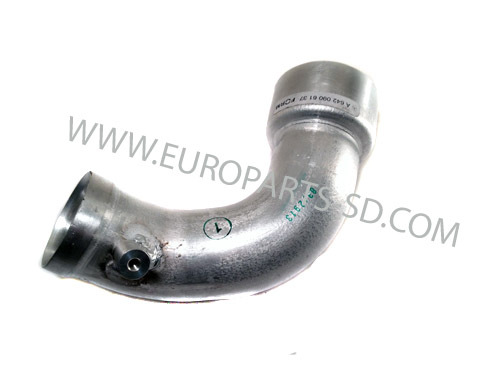 This unit is located between the output side of the turbocharger and the aluminum charge air intake pipe. 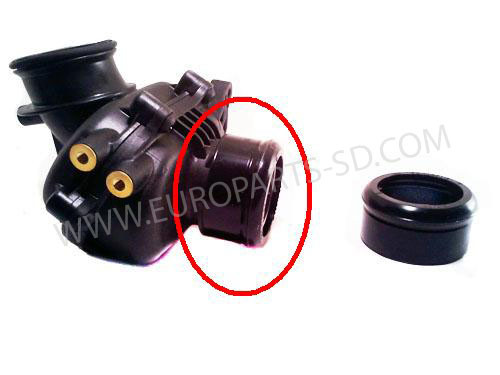 The seal and o-ring on each end of this unit (as pictured below) are provided with the new resonator. 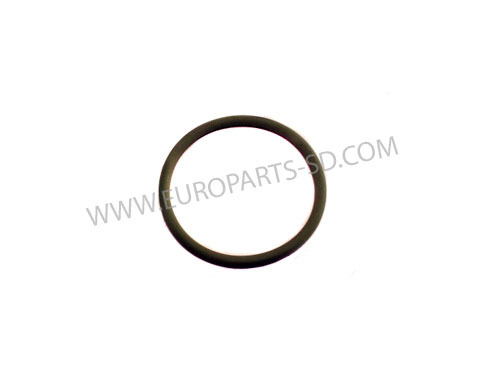 This O Ring is located at groove on the turbo resonator. Note that this is black in color. 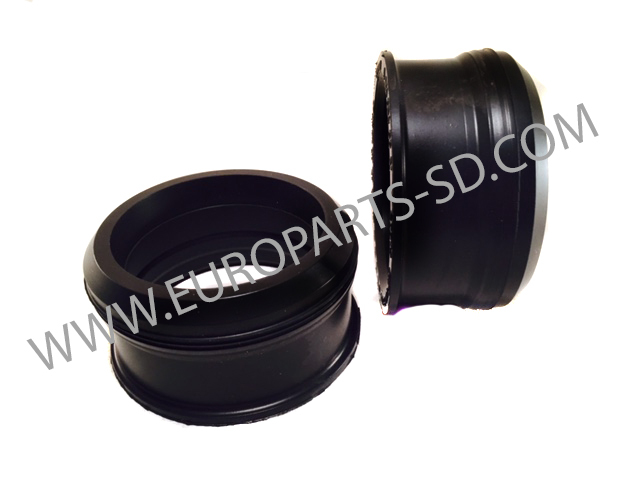 IF YOU ARE ORDERING A NEW RESONATOR, YOU WILL NOT NEED TO ORDER THIS SEAL, AS IT IS FURNISHED WITH THE RESONATOR. 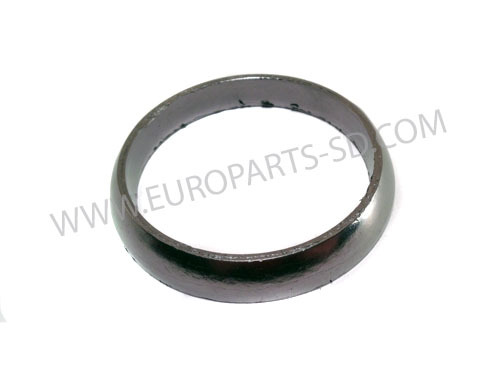 Black silicone seal found at end of turbo resonator. 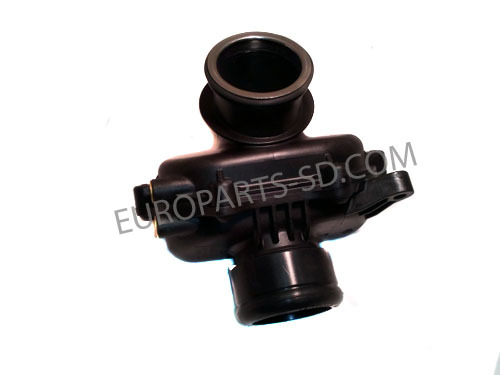 IF YOU ARE ORDERING A NEW TURBO RESONATOR, YOU WILL NOT NEED TO ORDER THIS, AS IT IS FURNISHED WITH THE NEW RESONATOR. Located between Turbo and the cast iron Y-shaped connector that links the two exhaust manifolds together. Links the air filter housing and MAF (mass air flow) sensor to the turbocharger intake, directly in the center of the aluminum turbo housing. 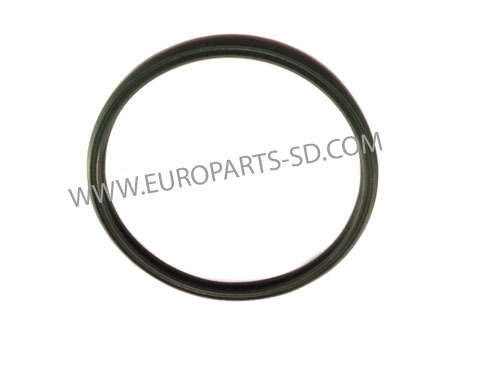 The black seal ring at the turbocharger end is furnished with this hose. If your old hose has the orange seal ring at the end, this hose will replace it. This pipe/hose replaces both 906 528 02 24 and 906 528 15 24. This is the original, complete two stage turbo unit, with both of the vacuum actuators. 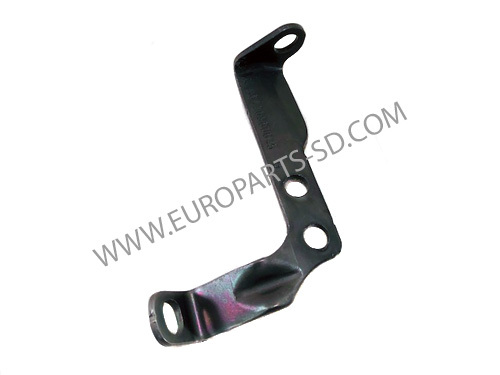 Manufactured by Borg Warner, the OEM supplier to Mercedes Benz for the 4 CYL engine. Only for BlueTec engines, 2010 and later. Not for any model 2009 and earlier. 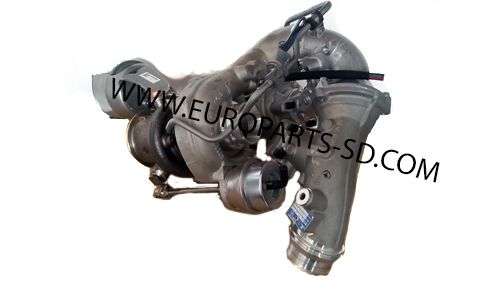 The is a brand new, original Mercedes Benz/Garrett turbocharger, exactly the same as sold by both Mercedes Benz and Freightliner, and NOT a Chinese imitation product. 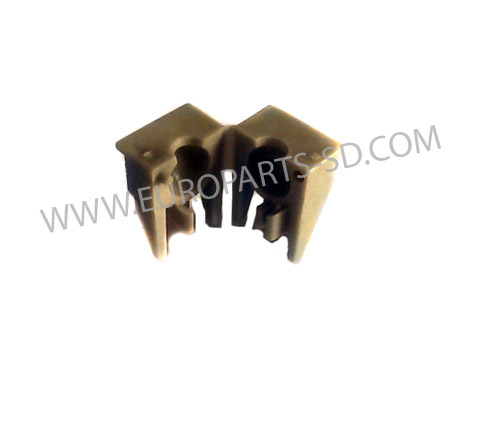 This is a complete unit, with the electronic actuator. 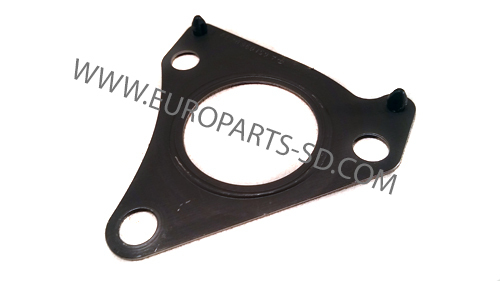 A package of three gaskets, supplied by Garrett, is also included. One of the biggest issues with higher mileage V6 engines is oil starvation at the center cartridge of the turbocharger. The oil feed and return passages are housed inside the cast iron pedestal/support stand that the turbo sits on. 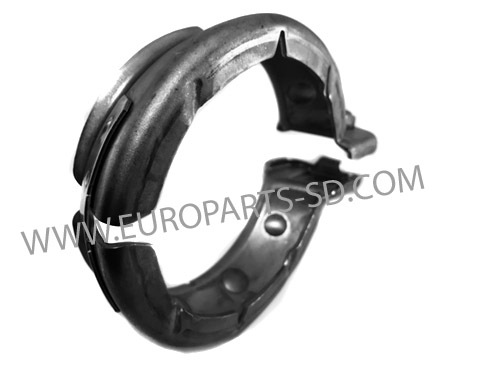 Mercedes Benz dealers automatically replace this every time that they do a turbocharger replacement. The passageways inside this become restricted over time, due to "oil coking". 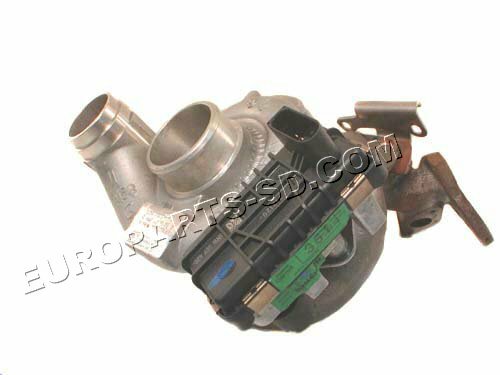 The turbo rotates at up to 280,000 RPM's and you do not want a lubrication problem at this point of your engine, as it will cause premature failure of the turbocharger. 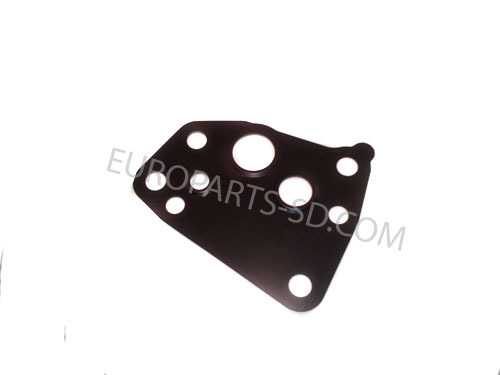 You can see the support stand and the two related gaskets that are used with this below. 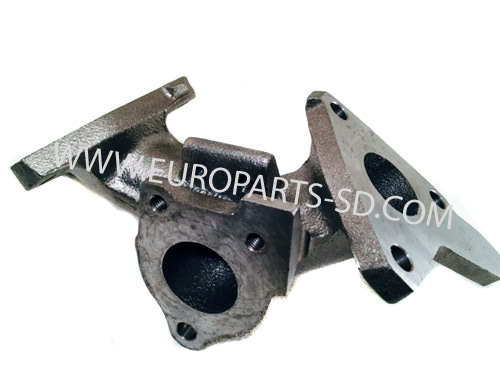 We strongly suggest that you replace this support stand and gaskets, when replacing your turbocharger, otherwise you risk quick failure of your new turbo. NO CORE DEPOSIT REQUIRED, AS THIS TURBO IS BRAND NEW AND SOLD OUTRIGHT. SAVE YOURSELF THE HEADACHE BY BUYING A NEW TURBO AND NOT A REMANUFACTURED UNIT. REBUILT TURBOS RARELY ARE OF GOOD QUALITY. 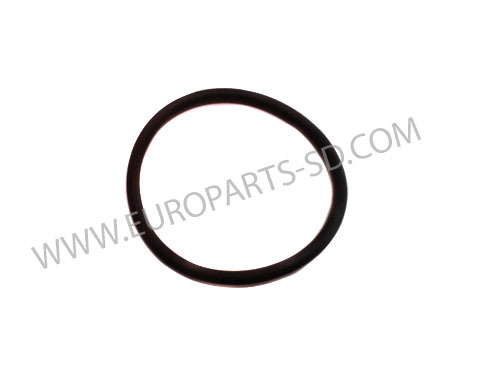 This o-ring is located at the output end of the turbocharger (on the compressor side) located between turbocharger and aluminum charge air elbow. Located at the center of the compressor side (aluminum section) on the end of the turbocharger. Resides inside the large diameter plastic intake pipe. A clamp surrounds the end of this plastic hose/pipe. This clamp should be very snug to avoid any air leakage at this point. Located at the compressor side (aluminum section) on the intake end of the turbocharger. 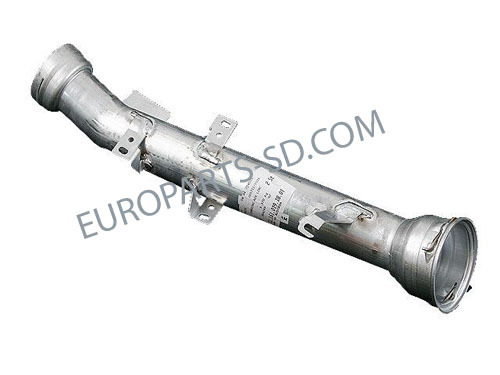 Resides inside the large diameter plastic hose/pipe. A clamp surrounds the end of this plastic hose/pipe. This clamp should be very snug to avoid any air leakage at this point. Bottom of turbocharger support stand to engine. This pedestal sits under the 3.0L V6 turbocharger, houses the very critical turbocharger oil feed and drain lines. 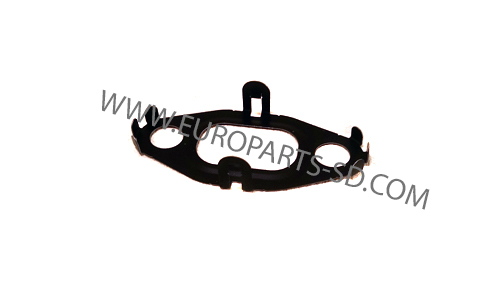 This is the second revision of this part, replacing both 642 096 03 45 and 642 096 14 45. 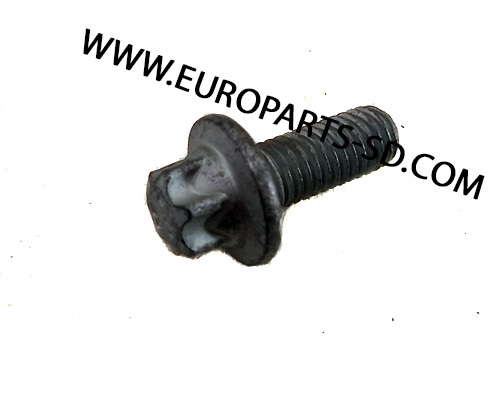 If you have either of these two stands on your engine, replace it with the current one....642 096 17 45. One of the biggest issues with higher mileage V6 engines is oil starvation at the center cartridge of the turbo. The oil feed and return passages are housed inside this cast iron pedestal/support stand. 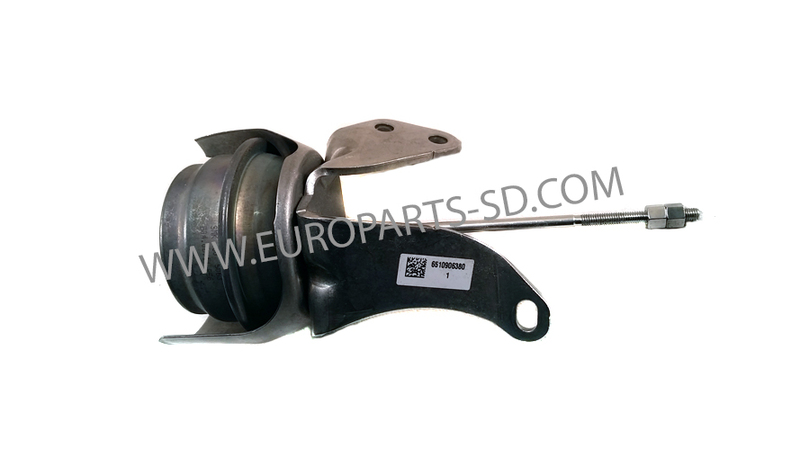 Mercedes Benz dealers automatically replace this component every time that they do a turbocharger replacement. The passageways inside this become restricted over time, due to "oil coking". 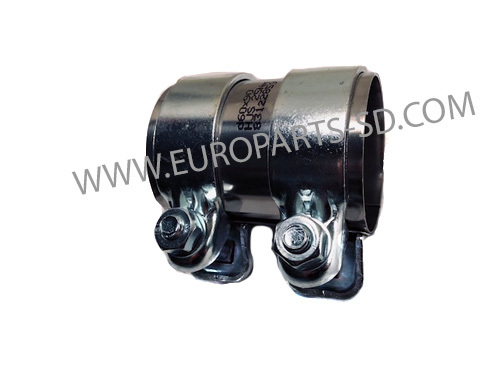 The turbo rotates at up to 280,000 RPM's and you do not want a lubrication problem at this point of your engine, as it will cause premature failure of the turbocharger. 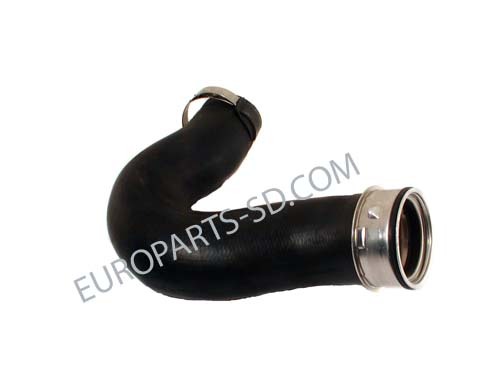 We strongly suggest that you replace this anytime you replace the turbocharger. Only for 4 CYL engines. This is the LARGER of the two vacuum actuators. See the smaller one shown below. 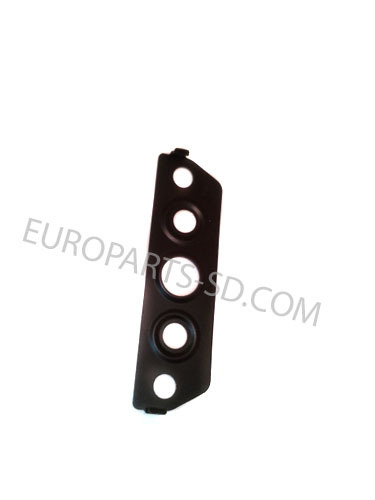 Includes the the threaded rod and mounting bracket. 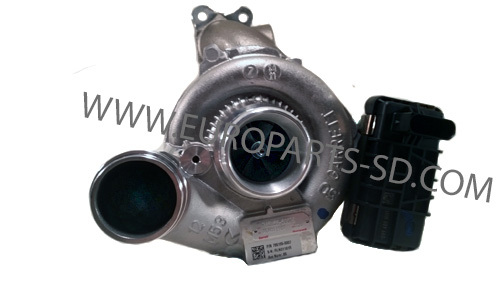 The is a brand new, original Mercedes Benz/Garrett turbocharger (same unit as sold by a Mercedes, Freightliner or Dodge dealer) and NOT a Chinese imitation product. 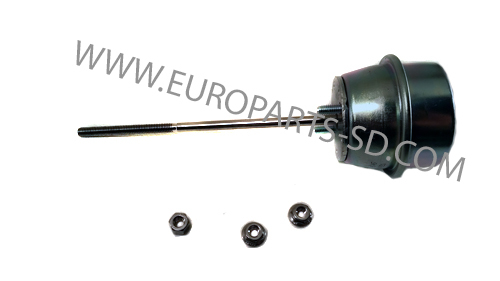 This is a complete unit, with the electronic actuator. 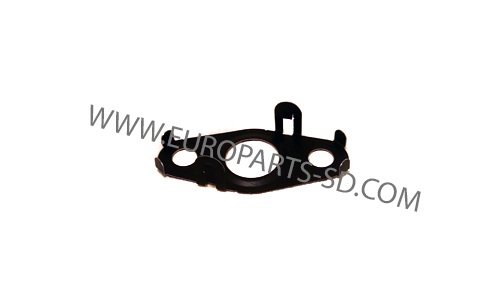 A package of three gaskets, supplied by Garrett, is also included. One of the biggest issues with higher mileage V6 engines is oil starvation at the center cartridge of the turbo. The oil feed and return passages are housed inside the cast iron pedestal/support stand, that the turbo sits on. Mercedes Benz dealers automatically replace this every time that they do a turbo replacement. The passageways inside this become restricted over time, due to "oil coking". 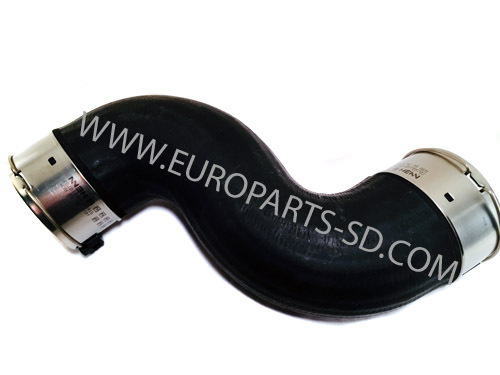 The turbo rotates at up to 280,000 RPM's and you do not want a lubrication problem at this point of your engine, as it will cause premature failure of the turbocharger. 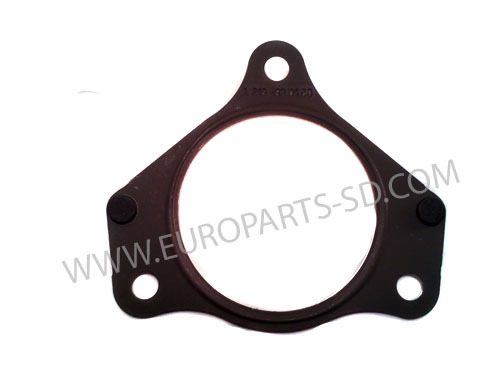 You can see the stand and the two related gaskets that are used with this below. 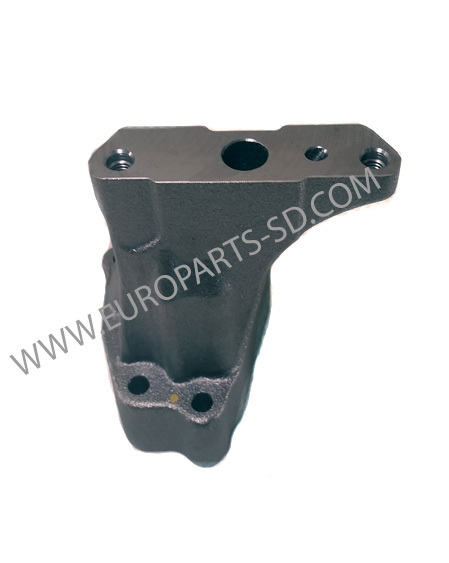 We strongly suggest replacing this support stand when replacing the turbocharger, otherwise you risk a quick failure of your new turbocharger..